For thirty-five-year old Amuri Kasomo, moving to America to provide his wife and five children with a better life is one of the hardest—and most rewarding—things he has ever done. In 1994, Amuri was living happily in Congo working as a bus driver and mechanic. He’d graduated from high school and earned a college degree in auto mechanics. That same year, however, Congo received an influx of refugees from Rwanda and Burundi during the Hutu-Tutsi conflict. 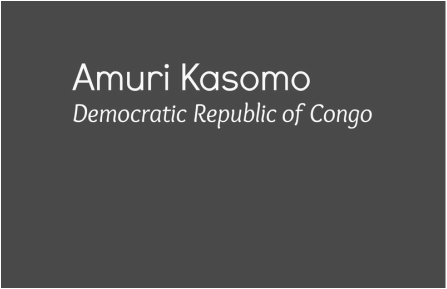 Amuri’s hometown was taken over by a rebel group and life became more difficult for him and his family. They were not allowed to travel to nearby areas, and Amuri was told not to let a certain type of people ride his bus or he could be killed. Fearing for his life, Amuri took his family and fled to Tanzania, where his parents soon followed. Tanzanian refugee camps offered a low quality of life, so Amuri eventually moved to Zimbabwe in 2003. While his family was able to find some peace there, life was still difficult and opportunities were scarce. 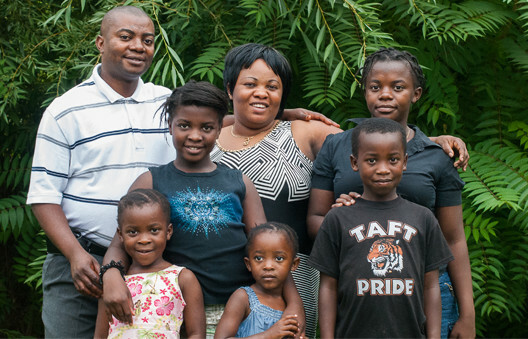 Nine years later, in 2012, Amuri was able to come to the United States. Though Amuri and his family were excited to start a new life in America, living in the U.S. was not easy at first. His wife barely spoke English, and even tasks like grocery shopping were daunting because of communication barriers. Amuri was not able to find a job as a mechanic or driver, but was happy to take any job offered so he could support his family. His first job was at Micron, where he worked as a janitor. In time, Amuri got a manual from the local DMV to study for the commercial drivers license (CDL) test. After many hours of study he passed and now works for ValleyRide as a bus driver. His wife is also gainfully employed, running a childcare business out of their home and working as a janitor at Micron. Their children, ages 5, 7, 9, 11 and 13, are also thriving here in the States. Overall, Amuri has a deep respect for the sense of community he feels in the U.S. He loves that Americans are eager to work together and help one another. He and his family are proud to call our great country home.